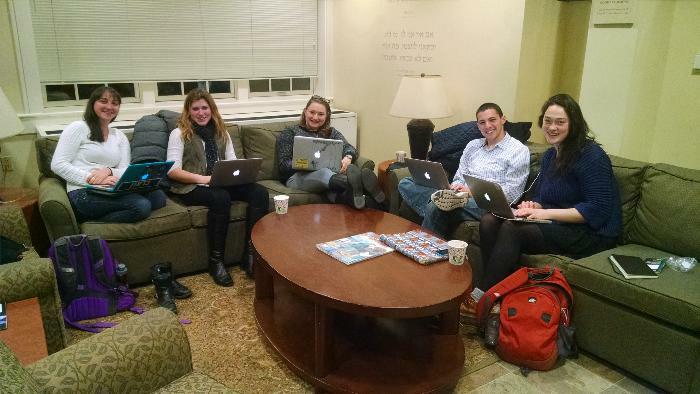 As the executive board of Brown RISD Hillel, we are thrilled about what is happening this year at Hillel. We and other students are planning many new exciting programs and events, as well as traditional favorites. We are also eager for students to use Hillel's resources to find new and diverse ways to explore their Jewish identities, whether that be through art, spirituality, travel, sports, music, cooking, or a myriad of other possibilities. Hillel has many opportunities to offer, and we welcome the Brown community to take advantage of them this year. We are looking forward to seeing you!